We’ve expanded our digital product line. New UV, Dye, Pigment and HP stocks. We have topcoated solutions for films / papers / foils and offers 2 day lead times on permanents, removables, blockouts and more. Read more. In an environment of constant price increases, you need choices. . Select from White, Clear or Metallized Elite BOPPs. Learn more. We’re now offering Scratch Off solutions! 2.5 mil Silver Scratch Off Polystyrene / 21P / 40# is perfect for promotional displays, game pieces, security applications and more! MOQ is 54” x 2,500’. Black scratch off is available on a custom basis. IRComplete® is our new single-ply, two-sided message IRC. It can be printed on both flexo and digital presses and it is available No Trim through AcuChoice. Acucote is a solutions-oriented pressure-sensitive adhesive coating manufacturer. We pride ourselves on product development, fast project turnaround and unmatched levels of customer engagement. We are your partner for virtually any specialty, value-added, uncommon and custom pressure-sensitive application. Acucote Inc. delivers a wide range of pressure-sensitive materials, products, and custom services to a variety of industry customers. 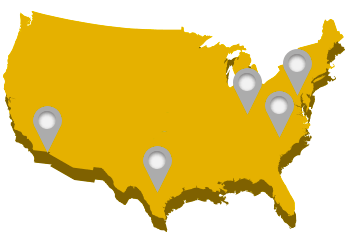 Headquartered in Graham, NC, we have a nationwide sales force and a network of regional slitting and distribution warehouses in Garland, TX, Montgomeryville, PA, Cincinnati, OH and Ontario, CA. We are proud to be your source for a wide range of pressure-sensitive materials that can be combined and tailored to meet virtually any labeling needs. Not only do we offer the solutions below, but we also provide additional services and capabilities to serve all of your pressure-sensitive needs. Our Application Development Team specializes in creating the most innovative and effective solutions to serve our customers’ most demanding requirements. In a creative, collaborative, team-based environment, we consider all facets of our customers’ requirements and challenges to recommend solutions in days, not weeks. We invite you to learn more about us, our quality products and our application development program. Call us today at 800.228.2683 or contact us for more information and to discuss your next project.